Transformers: Rise of the Dark Spark, the next Transformers game from Activision, will be released on June 24th for PC, Xbox 360, Xbox One, PlayStation 3, PlayStation 4, Wii U and Nintendo 3DS. 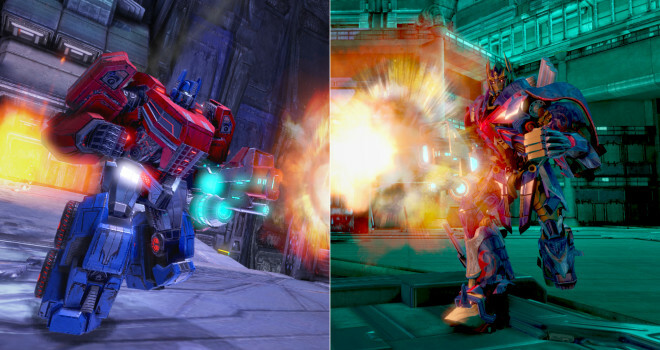 This upcoming Transformers game will not be in the same extent as the High Moon games. This game will be a tie-in of sorts to the upcoming Transformers: Age of Extinction movie, and is being developed by Edge of Reality. The game will feature 40 playable Transformers from the Autobots to the Decepticons and said to crossover the movie Transformers and the video game Transformers. the Glass Gas Cannon and the Electro Bolter. Nintendo’s consoles seem to be on a different wave-length. The only downside is that this DLC option will not be available for the Wii U, and the 3DS version is a completely different game altogether. It’s a Tactical RPG developed by WayForward Technologies and no details of that game have been released yet.